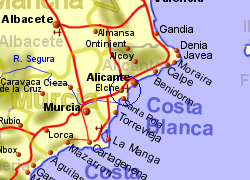 Located between Alicante airport and the city of Elche, the small town of Torrellano lies 6Km from the coast, and 10Km southwest of the city of Alicante. 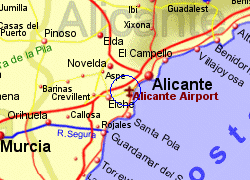 The town is also abut 1Km from the western end of the runway at Alicante. 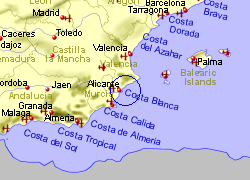 Map of the Torrellano area.